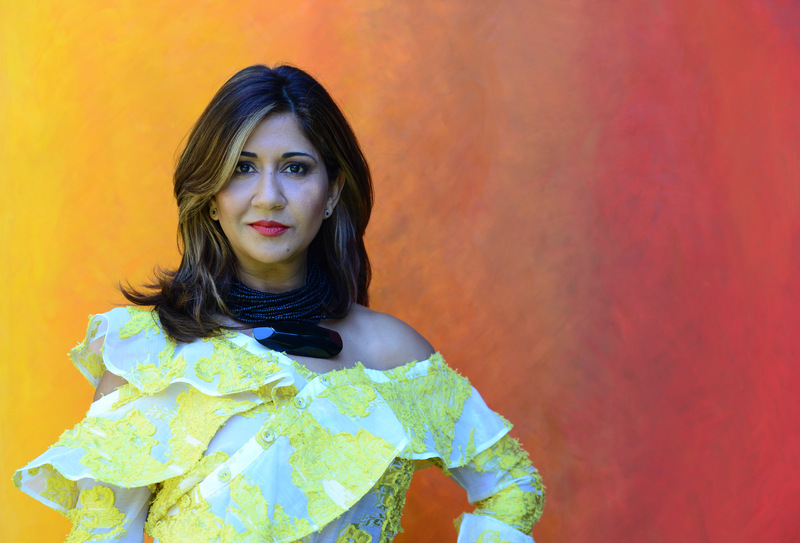 Nifoler believes that “not everyone will, but anyone can.” She’s an inspiring force for female entrepreneurs and working women everywhere, and we couldn’t wait to hear all about how she juggles her many responsibilities while staying productive. I check email over coffee. I triage what needs to be Priority 1 and then queue everything else to it’s particular day. Then I workout, and get back to my inbox. What’s your number 1 productivity/time-saving tip? Focus on “the big rock” first. Everything else gets queued and managed later. I’m not saying this because I’m saying it to you, but SaneBox. Second in line is Freedom. It blocks me from seeing social media from 8pm to 7am, which means no wasting time surfing the web when I should be sleeping. I usually read long-form books for an hour in bed – it’s deeply satisfying. Then, my kiddo, hubster and I do a “family sandwich” moment where we just hug it out for a minute before we all go to sleep. What’s your number one email tip? Manage your queue. Just because an email came in now doesn’t mean it should shoot to the top of your todo list. I actually block out certain times to do email catchup, and queue the emails related to a project on a set day. 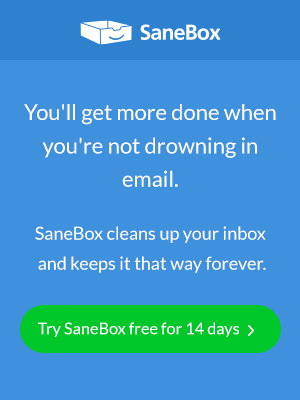 What’s your favorite SaneBox feature? I love that I can queue by day, for the weekend, and for “someday”. “Someday” adds a mystery to life. What’s the biggest hindrance to productivity and how do you combat that? The people who send you a text to ask you if you saw an email. Either they think I can’t operationalize my life, or they think their opinion of my priorities matter more than my opinion does. Either way, they get on the delete list, as they’re certainly not helping my productivity. Every week is a reset. I usually do a “top priorities” exercise for the week on Sunday. I bump meetings if need be, and generally block off chunks of time in to fit those priorities. “You can’t do x”. People judge what’s possible based on what they view the status of the person to be. I have to say to myself, “just because it’s THEIR truth, doesn’t mean it’s THE truth.” Then, l go do what needs to get done. What book has changed your life, and why? It’s impossible to choose just one! I love books that reframe the world from what has been, to what will be. Daniel Goleman’s work, Emotional Intelligence, was definitive. Before his work, people valued skills like mathematical ones, but didn’t value soft skills as much. As more mathematical skills are automated with AI, the work that still needs the human touch is emotional intelligence type skills. His book offers a framework for understanding that. Similarly, Susan Cain’s book Quiet tells us we miss out on the ideas of one-third of the population. We do this by placing more value on extroverted qualities, and not seeking out the input of less assertive people – those who prefer solitude or individual endeavors. She wrote: “There’s zero correlation between being the best talker and having the best ideas.” I love this idea. For many, many years, I worked in tech to help ship new products. At one point while writing a corporate board bio, I counted them all up. It added up to over 100 products, with a cumulative revenue of 18 billion dollars. Today, I no longer help teams ship products. Instead, I help figure out how to help others ship their ideas. I assist others with operationalizing their work and getting seemingly “wild ideas” like equal pay for women, LGBTQ equality, and police reform turned into actual realities.